I'm a PhD student in the school of applied sciences and engineering. 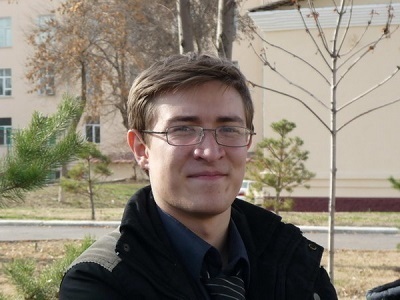 I obtained my BSc degree at the Tashkent University of Information Technologies. I concentrate on knowledge representation and common sense reasoning areas of AI. My academic advisor is Lenhart Schubert. My other interests include math, philosophy, gaming and eating. I don't have much to add yet. Platonov G. N., Kogay V. N. Application of artificial neural networks to optimal control problems. �gMalaka oshirish djaraenini takoillashtirish�h journal. Tashkent, 2011. Platonov G. N., Kogay V. N. The problems of developing neural network architectures for database query processing. ICT Journal, ��8, Tashkent, 2012. Kogay V.N., Pak V.S., Platonov G. N., The possibility of using set-theoretic concepts for object-oriented models of software for industrial automation. Proceedings of WCIS-2014 international conference, Tashkent, 2014.